A Waste Gas System is an effective air pollution control device in removing particles and/or gases from industrial exhaust source. 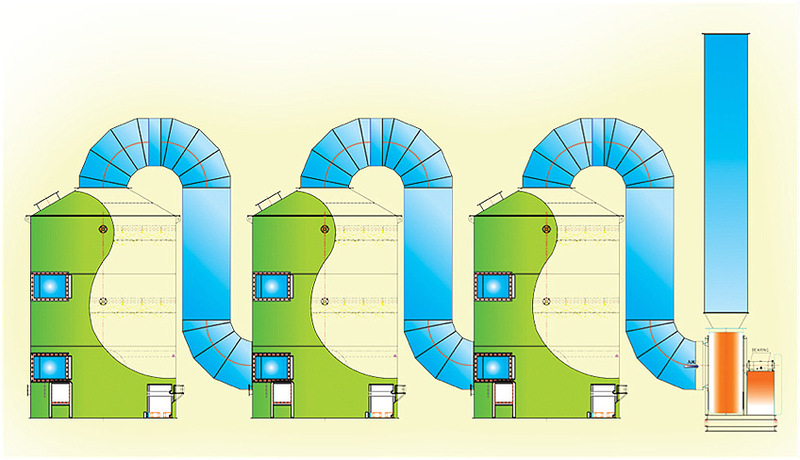 By ducting the industrial gases stream thru a scrubbing liquid – typically contra pH with the source, the treated air is hence been released thru the chimney. Shinsiri offers a variety of Waste Gas Systems specifically designed for your process application. Supported by our experience and knowledge, we take all important operating variables into consideration when evaluating the size and type of scrubber for any specific application, to provide the proper solution for your process. We have qualified associates in Malaysia, Singapore, Thailand and Taiwan who well understand the local rules and regulations which is critical in obtaining approval for design and operation submission. Hence, we can offer one-stop solution for client who is looking for waste gas solution.